German Hardline Finance Chief Schaeuble - Europe's "New Boss"
Germany's Finance Minister Wolfgang Schaeuble insists he is deeply pro-European, but for many his unbending stance on Greece has cast him as a villain in the struggle to save Athens from crashing out of the euro. This week the Portuguese daily Publico lashed out at the veteran minister as "the main menace for Europe" after he had proposed a five-year "time-out" from the single currency for debt-wracked Greece. The Italian daily Espresso pictured the 72-year-old as "Europe's boss" on its front page Friday, under the headline: "This man is scary. He scares us too." Greece's former finance minister Yanis Varoufakis -- with whom Schaeuble frequently clashed after radical-left Prime Minister Alexis Tsipras came to power -- accused his nemesis in Berlin of deliberately leading Europe into an impasse. As the most experienced member of the German cabinet, Schaeuble has served as Chancellor Angela Merkel's main general throughout the lengthy battle to resolve the eurozone crisis. As he asked German lawmakers Friday to vote for a third bailout plan for Athens, Schaeuble said he had learned to shrug off the withering criticism which in Greece has seen him vilified as a Nazi and a bloodsucker. "Jawohl, fräulein, ve vill cook zee Greek und EU untermenschen a stew they vill choke on, und ziss time vee vill finish zee job properly!" "Nothing is achieved with this sort of distorted polemic, which has absolutely nothing to do with the issue," he said. "I've grown thick-skinned during my long political life. What really drives me is my responsibility as finance minister and a member of the government, and the responsibility to help find a solution." In his unerring insistence on often painful reforms in return for rescue loans, Schaeuble says he is fighting for a strong EU and for smaller eurozone countries which have made great sacrifices to remain in the single currency. Schaeuble belongs to Merkel's conservative Christian Democratic Union (CDU) and is one of her most trusted and loyal allies. He's also the most seasoned cabinet member having held five ministerial offices since 1984 and been a member of parliament for more than 40 years. It was under former conservative leader Helmut Kohl that the pro-European Schaeuble forged his career, rising through the ranks to eventually become Kohl's chief of staff, long seen as the heir apparent. Together they oversaw Germany's national reunification, when personal tragedy struck Schaeuble -- an assassination attempt by a deranged man in 1990 badly injured him and has forced him to use a wheelchair ever since. Schaeuble soon returned to active political life, but nearly sacrificed his career in a slush-fund scandal that shattered Kohl's reputation. 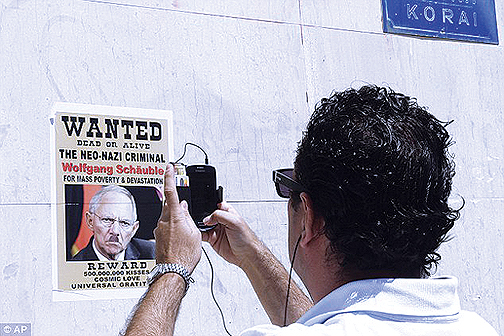 After a period in the political wilderness, Schaeuble made a comeback in 2002. While Merkel refused to back him two years later for the role of federal president -- instead picking former International Monetary Fund chief Horst Koehler -- he became interior minister the following year. Schaeuble did not have an easy time in the position and was criticised by civil liberties groups for curbing rights in response to the threat of extremist attacks. 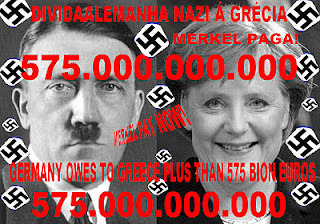 However, Merkel rewarded him in October 2009 when she tapped him for the more high-profile finance ministry. 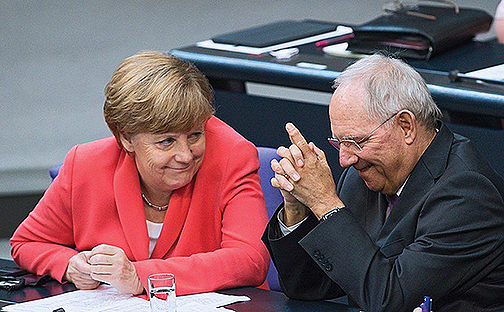 At the time, Schaeuble told reporters he was "stunned" by the appointment. 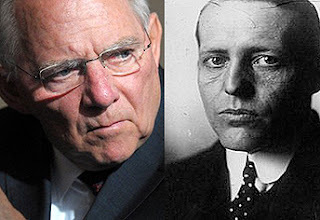 Schaeuble was born in Freiburg in southwestern Germany in 1942, the son of a conservative politician. He is bookish with a dry wit, married and has four children. While he never officially said so, Schaeuble was believed to have ambitions to become head of the Eurogroup of eurozone finance ministers in 2012, and his candidacy was bandied about but faced some strong reservations in a number of European countries. He has never been soft on other Europeans. 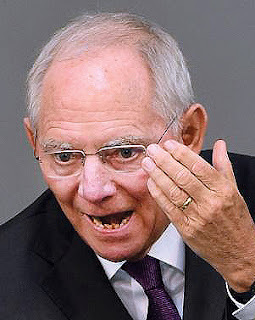 Describing himself as "pitiless" in his management of Germany's public purse, he shows the same exactitude towards his euro partners, campaigning for tight fiscal discipline and insisting on stringent conditions for any bailout contribution by Berlin.